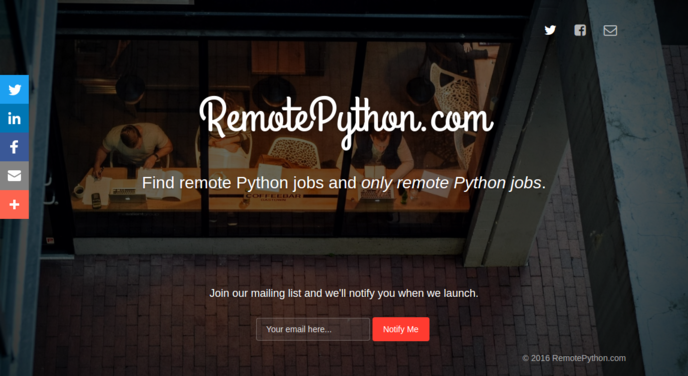 I started development of RemotePython.com, a job board/aggregator for finding remote Python jobs and developers, towards the end of November. Just almost a month later, I'm happy to announce that I'm about 90% done with the site. I've logged around 66 hours of development time so far. 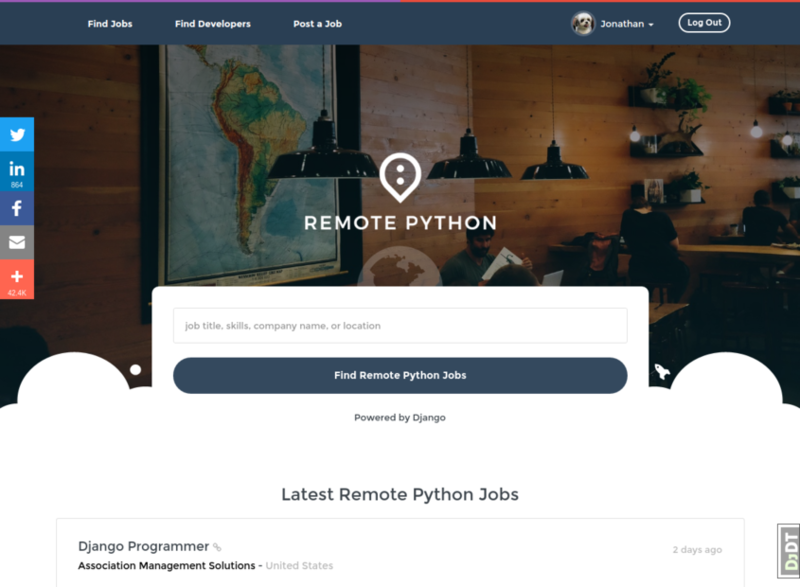 For some time now, I had been thinking of building a Python job board/aggregator specifically for remote Python jobs. Part of the reason is to scratch my own itch. I'm a freelance Python/Django developer and only available for a remote working arrangement as I like living in different cities around the world. I typically change cities every 1-3 months.